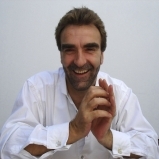 Jonathan Plowright "One of the finest living pianists" - Gramophone Magazine. Hailed by reviewers as “one of the finest living pianists” and "a colossal musical mind" with a "transcendent technique", Jonathan’s performances of “scintillating virtuosity and deft sensitivity”, continue to be showered with superlatives, and place him firmly amongst the top pianists of today. MacFarren Gold Medallist at the Royal Academy of Music, Peabody Conservatory Concours winner and a Fulbright Scholar, Jonathan went on to be a prize-winner in many competitions, including overall Gold Medal Winner of the Royal Overseas League Competition, and first prize winner at the European Piano Competition. Critics, colleagues and audiences alike have since had unanimous praise for his many national and international performances and he has been in demand all over the world as recitalist, appeared with leading orchestras and ensembles and given numerous radio broadcasts. Jonathan is on the distinguished piano roster of the Hyperion Record label and in the past twelve years has released a highly successful string of recordings, all enthusiastically received with outstanding reviews in the worldwide media, winning such accolades as Preis der Deutschen Schallplattenkritik, Gramophone Editor’s Choice, BBC Music Magazine Choice, Diapason d’Or, FonoForum Tipp, and CD of the Week on Classic FM and ABC Classic FM and in the Daily Telegraph. Jonathan is also recording the complete Brahms solo piano works for the Swedish label, BIS Records, the first CD of which was released in 2013 to huge critical acclaim, receiving many ‘Editor’s Choice’ awards and five star reviews in the media. His second is due out later in 2014. Over the past decade his championing of rare piano music of the Polish Romantics has brought attention to many unjustly neglected gems, and his highly respected recordings and performances have confirmed him as a master of this repertoire. Jonathan is Head of Keyboard at the University of Chichester and on the Keyboard Faculty of the Royal Conservatoire of Scotland. He is also often invited to give masterclasses, consultation lessons and prize adjudications at competitions and international conservatoires. In 2013 Jonathan was elected a Fellow of the Royal Academy of Music. Videos of Plowright's performances of Polish and other repertoire are now available on YouTube. See also his website at www.jonathanplowright.com.